The game will be a highlight for Jake Lloyd as it will be his 119th game as a Swan. As a result, his fellow ‘hot seat’ companions (Brian McGowan and Darren Jolly) will no longer feature in the Sydney top 100 game players of all time as Lloyd will join Paul Harrison and Fred Goldsmith in 98th position on the ladder. Paul Harrison was born during World War II and joined the then South Melbourne in 1963 from the Victorian country town Traralgon. Despite an awkward style, he served the club well for eight years. Fred Goldsmith was recruited from Spotswood and took some time to establish himself. When moved to fullback, he proved his worth by winning the Brownlow Medal in 1955, the only full back to do so. In 1956, he was moved to full forward and was the club’s leading goalkicker in 1957. For Melbourne, Tom McDonald will be the 59th player to play 150 games and will join Sean Wight who was born in Scotland but recruited from Ireland where he played Gaelic football. Matthew Whelan, who played his early football in Darwin, was a tough and uncompromising defender. And another tough defender, Jared Rivers, who after a decade at the Demons went as a free agent to Geelong for two years. The Collingwood/Western Bulldogs game will see Collingwood’s Chris Mayne play his 200th game of AFL football – the main traditional milestone of the round. Mayne played 172 games at Fremantle and was the leading goal scorer at the club in 2011 but crossed to Collingwood in 2017 on a four-year contract and managed only three games in his first year. Given more of a chance in 2018, he proved his worth and has now become a regular player. At the Western Bulldogs, two ‘sons of guns’ will improve their ranking in the club’s top 100 game players of all time. Mitch Wallis, son of Stephen Wallis, will join Tasmanian Simon Atkins who was twice runner up in the Bulldogs best and fairest. Further down the list, Tony Liberatore’s son Tom will match the games totals of Jim Thoms and Arthur Edwards. Both Thoms and Edwards were overtaken last week by Jack Macrae causing them to now drop out of the top 90 game players at the club. The first Saturday game is between two of the better performing teams Geelong and Greater Western Sydney and should be a great matchup. 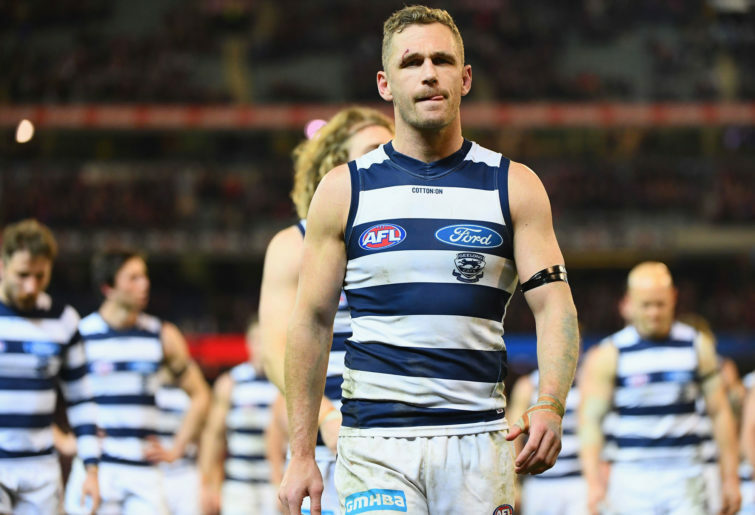 Geelong’s captain Joel Selwood will move into equal ninth position on the Cat’s games hierarchy joining Joel Corey on 276 games while cementing his place among the Geelong greats. His teammate Harry Taylor will join former captain and Best and Fairest winner Barry Stoneham on 241 games and further his credentials as an elite member of Geelong’s top 100 game players. Although a back man, Taylor occasionally plays forward.